I'm thrilled to be able to share some news of an exciting project I've been working on over the past few months! I have been fortunate to join forces with 6 talented surface pattern designers who are based all over the world to form an art collective that we have named "Four Corners"
Jardin anglais collection shown in "Dusk"
I'm so excited to share my latest collection with you! I really wanted to challenge myself to try out some new techniques and this seemed like a great opportunity to expand my understanding of making geometric patterns. 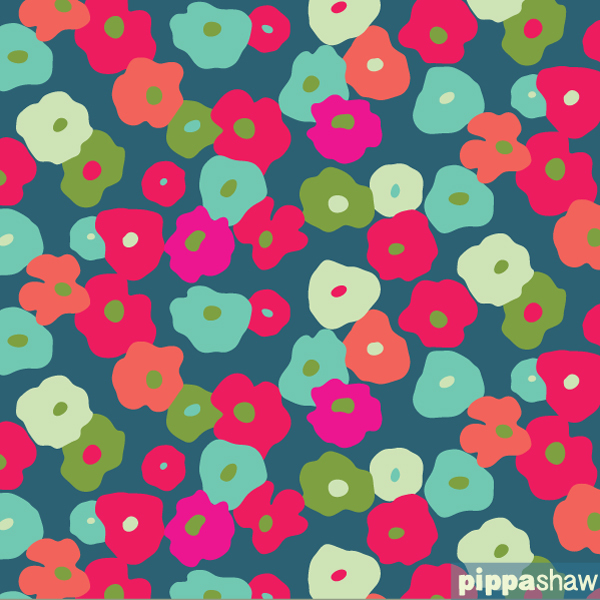 I also think it's good to get away from florals every now and then, however much I adore them! where do patterns come from? as seen on Print & Pattern blog! 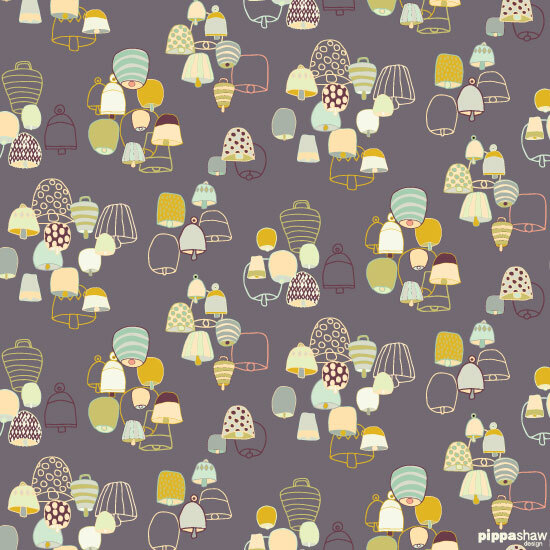 I was so happy to see my "Harvest" design featured on the wonderful Print & Pattern blog today. I have been following Marie's very popular blog for a long time and have admired the patterns and designers that she has highlighted over the years. Needless to say this is a great honour for me!